This wicker furniture set had 4 chairs and a glass top table. 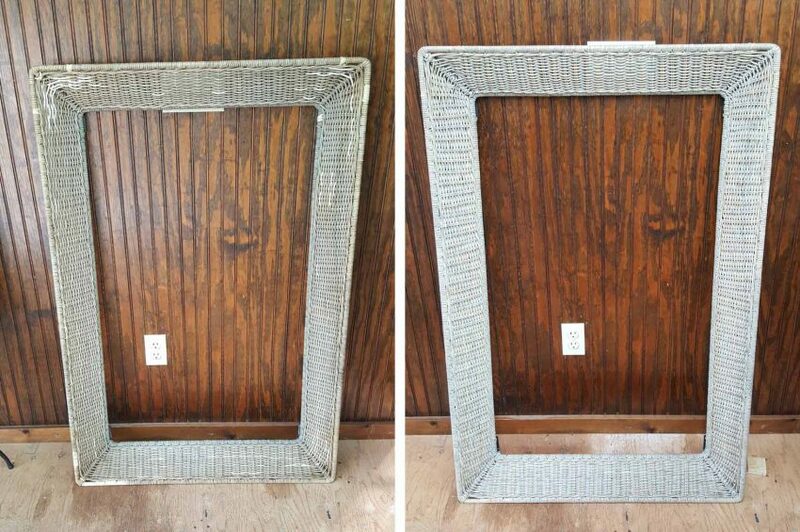 Restoring the set involved taking out the broken pieces of wicker and weaving in new. Then cleaning, touch up, and 2 coats of a colored oil finish that dried to a flat sheen. 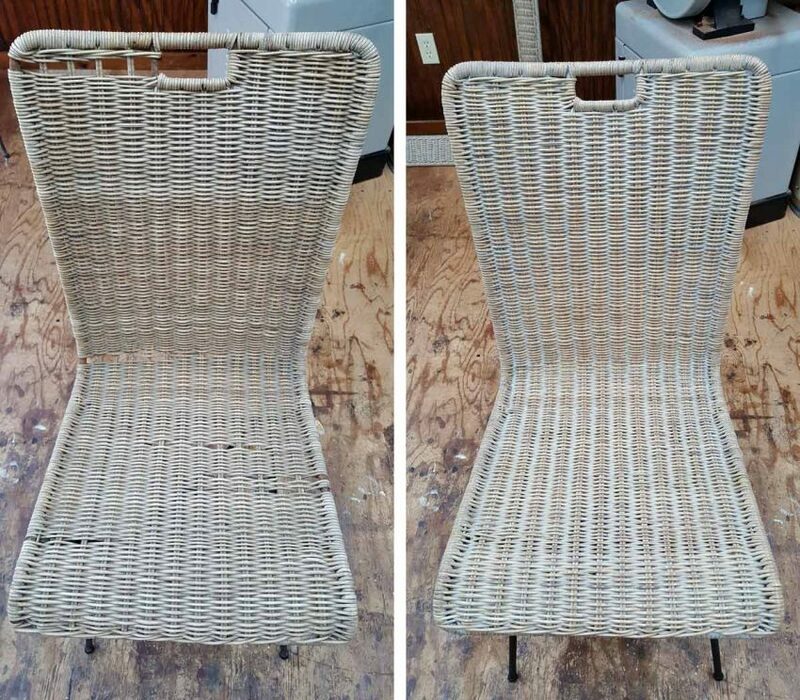 Here’s one of the chairs with the broken pieces removed, and then completed. Here’s the table with new pieces woven in, and then completed. 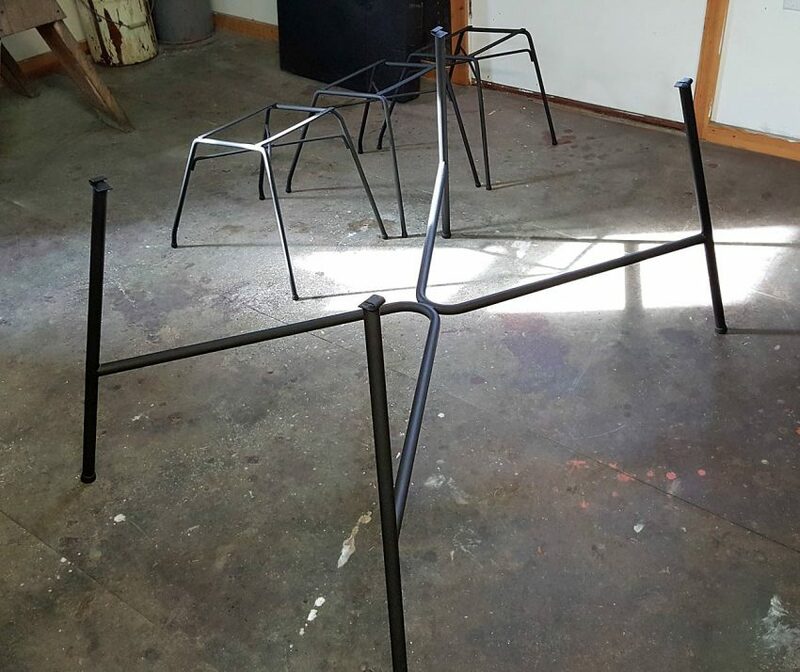 The metal bases were removed, sanded, and painted matte black. Thank you to Izzy from Battle Hill Forge for re-welding a broken section on one of the chairs bases. 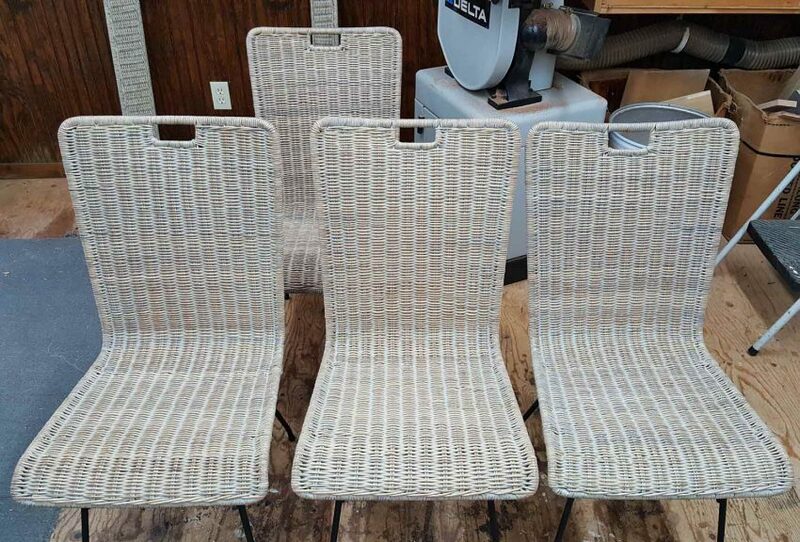 This set of mid century modern wicker furniture was restored for a Copake NY client.